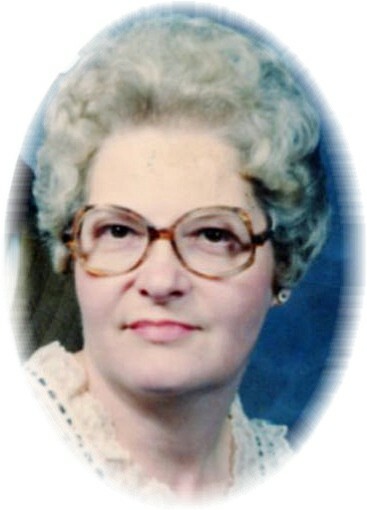 Mary Jo Brickner, 85, of Tiffin, died at 11:45 a.m. Tuesday, April 9, 2019, at Mercy Health – Tiffin Hospital. She was born Aug. 1, 1933, in Tiffin, to Thomas and Alice (Eck) Frankart. She married Harland Brickner July 5, 1958, in St. Mary Catholic Church and he survives. Other survivors include two sons, Christopher (Jennifer) Brickner of Hinckley and Keith (Linda) Brickner of Tiffin; four grandchildren, Christopher Brickner Jr., Preston Brickner, Andrew Brickner and Alecsander Brickner; four stepgrandchildren, Frank Pezzano, Connie Pezzano, Leslie (Rob) Reinhart and Brad (Adrienne) Fatzinger; two stepgreat-grandchildren, Colton Reinhart and Layla Reinhart; four sisters, Norma (Charles O’Neil) Frankart of Akron, Irene (Peter) Belex of Warren, Darlene (Michael) White of Columbus and Annie (Patrick) Hartenstein of New Riegel. She was preceded in death by her parents and six sisters, Beatrice Reinhart, Evelyn Taylor, Jane Wood, Madelyn Schwanberger, Tillie O’Connor and Pat Walliser. Mary Jo was a 1952 graduate of Calvert High School. She was a homemaker, and a member of St. Joseph Catholic Church and it’s Rosary Altar Society. Visitation for family and friends will be 10-11 a.m. Saturday, April 13, 2019, at St. Joseph Catholic Church. Her funeral Mass will follow at 11a.m. with the Rev. Joseph Szybka officiating. Burial will be in St. Mary Catholic Cemetery. The rosary will be recited 20 minutes prior to the Mass. Memorial contributions may be made to American Kidney Fund or Calvert Catholic Schools. Arrangements have been entrusted to Traunero Funeral Home and Crematory, 214 S. Monroe Street, Tiffin, OH 44883, (419) 447-3113.